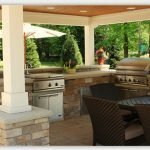 Even if you’re not ready to stick a “For Sale” sign in your front yard, knowing how different improvement projects alter your home’s value can be useful – for example, that info can help you decide between adding another bedroom and splurging on that high-end backsplash tile in your kitchen. In the latest installment of his lauded video series, The Real Estate Minute, Hollywood real estate pro Ivan Estrada shares five home improvement projects with the best ROI (did you know you can transform a den into a bedroom for $1,500?). Get his advice in the video below, and learn how Kukun’s Home Remodeling Estimator tool makes it easy to decide which projects to take on.